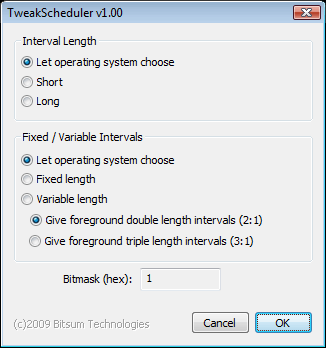 We’ve added a page about one of our classic Bitsum freeware utilities, TweakScheduler. It has long been included with Process Lasso. You can reach it via ‘Options / External Tools‘. This is just one of many of our freeware utilities that have yet to be fully integrated into this new web site.